Brick and mortar stores often cannot compete with the convenience and pricing of online retailers. As a result, even many top retailers have had to close down in recent years. A dozen retailers went bankrupt in 2018, including Mattress Firm, Rockport, Brookstone, Nine West and Claire’s. However, this has not stopped commercial retail leasing from dominating the South Florida area. While many stores have been forced to close down, business is booming in the area. The top five sales in 2018 were of properties selling for more than $70 million. Most of the deals involved shopping centers in suburban areas, particularly ones that were new or had recently been renovated. These shopping centers are poised to succeed because they have a good mix of tenants. Retail giants, destination restaurants and even fitness centers dominate these shopping centers, making them attractive to consumers. The goal is to make the shopping experience much different—and better—than shopping online. The biggest purchase was that of PGA Plaza in Palm Gardens. In May 2018, InvenTrust Properties Corp. paid $88 million for the property. The property on PGA Boulevard boasts 121,000 square feet of retail space. In 2004, Menin Development bought the shopping center for $17.5 million and spent $14 million to renovate it. Current retailers include Trader Joe’s, Marshalls, Ulta Beauty, Orangetheory Fitness and Anthony’s Coal Fired Pizza. TA Realty paid $80 million for Pines City Center. Located at Pines Boulevard and Palm Avenue, this shopping center features 150,000 square feet of retail space. It includes tenants such as Publix, Outback Steakhouse, Humana, West Marine, Rooms to Go Outdoor and City Mattress. In October 2018, Midtown Capital Partners bought Downtown Dadeland. Located at 270 North Kendall Drive, this shopping center features 26,000 square feet of retail space. Tenants include Harry’s Pizzeria, West Elm, Orangetheory Fitness, Pasión del Cielo and Ghee. In 2014, DHPI Dadeland LLC bought the property for $39 million. Shoppes at Isla Verde, located in Wellington, was sold to MetLife for $74 million. The shopping center boasts 207,030 square feet of retail space. Tenants include Best Buy, Old Navy, Petco, Verizon, CVS, Chipotle, Panda Express and Ulta. It will also be home to Sprouts Farmers Market in the near future. Jamestown paid nearly $72 million for Doral Commons, located at at 7550 Northwest 104th Avenue in Doral. This shopping center boasts 140,000 square feet of retail space and features tenants such as Publix, McDonald’s TJ Maxx and Citibank. While there are many similarities, retail leases are different from normal contracts. Leases are interpreted in their own specific manner and can be much more complicated. 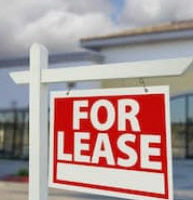 When reviewing a lease, it is imperative that you understand the laws. These regulations can affect how you run your business. Make sure you are prepared with help from Orlando commercial & retail lawyer B.F. Godfrey from Godfrey Legal. If you are interested in buying commercial property for retail purposes, he can guide you through the process. Schedule a consultation today by calling (407) 890-0023 or filling out the online form.